Millions of people die every year from lack of cooling access, whether from food losses, damaged vaccines or severe heat impacts. Nithya Ramanathan co-founded Nexleaf Analytics to help solve this global issue. I met with Nithya Ramanathan at the Sustainable Energy for All Forum in Lisbon. She was one of the experts who participated in the discussion around ‘Cooling for All’, a topic that we haven’t really explored in The Beam before. Millions of people die every year from lack of cooling access, whether from food losses, damaged vaccines or severe heat impacts. Nithya Ramanathan co-founded Nexleaf Analytics to help solve this global issue. Her non-profit provides low-income countries with sensor technologies, and therefore data, used to protect temperature-sensitive vaccines for newborns, reduce air pollution by incentivising cleaner cooking and protect produce for smallholder farmers. Nithya Ramanathan told me about the importance of using data to contribute to solving climate change issues, what their impacts are on the population and the challenges that come with them. Thanks a lot for your time Nithya. Your exposé on using data to improve cooling access for all was a real eye-opener! But before we get into the topic, I would like to know more about you and understand where your commitment comes from. You are a computer scientist, you have a PhD from UCLA and a B.S. in Electrical Engineering from UC Berkeley. When did you decide that you would dedicate your work to help solve climate change issues and why? After completing my bachelor’s degree, I went directly to work at large tech companies in Silicon Valley as a hardware engineer. But I wanted to explore ways to use data and technology for social impact, and I returned for my Ph.D. While in grad school, I did a research project in Bangladesh on sensor networks to measure arsenic levels in the groundwater. The local people were so excited to see the team and me there, because they thought we were going to completely solve the problem they faced with their poisoned water supply. This was heartbreaking to me, because we were there for a research project which meant our involvement would end, and we would eventually leave without providing them with a solution. So I decided to raise money to go back and build a well to help the community access clean water. At the time, I thought I was helping the community. In reality, I was only creating a temporary solution. I never asked questions about the sustainability of the well, about its upkeep and maintenance, or whether it would actually make a measurable difference in people’s lives over the long term. This project made me reflect on the importance of creating systems that are sustainable and that stimulate change within communities. Because of my background as a computer scientist and an engineer, I understood how data and innovation have the power to answer some of these questions around sustainability, not only for climate change initiatives but also for global health, food insecurity, and so many other sectors. The organisation I co-founded, Nexleaf Analytics, is built on a model of using data and analytics to create adaptive solutions that last. How would you explain to, say, my elderly neighbour (who has never even used a computer!) what is your organisation Nexleaf Analytics exactly doing? What’s interesting about this question is that we’re currently experiencing a sensor and mobile revolution across the globe; it’s wonderful that technological advances aren’t limited to younger generations or wealthier communities. My grandmother, who is over 90 years old, frequently sends me WhatsApp messages, emojis, and poems she composes on her smartphone. Similarly, mobile technology is increasingly penetrating communities previously disconnected, and it’s a powerful tool to access information and to generate critical development. That’s why it’s so important to harness this momentum. For someone that doesn’t have familiarity with technology, I would say that at Nexleaf, we use technology to bring transparency to complex sectors to understand what’s working and what’s broken. Our innovation ColdTrace is a temperature monitoring platform that protects vaccine potency in health facilities, and is widely deployed in the global immunisation sector. Our other innovation, StoveTrace, facilitates access and affordability of clean household energy to women. We gather lots of data to understand problems afflicting hard-to-reach places around the world and to design solutions that target those problems. The innovations we develop address leading global problems such as global health, food insecurity, and climate change. Could you maybe give us a precise example of the application of your technology? One major area we focus on is the vaccine sector. Vaccines are temperature sensitive, and when they are exposed to temperatures that are too hot, or surprisingly, too cold, they lose their potency. Health clinics rely on refrigerators and freezers known as cold chain equipment (CCE) to keep vaccines safe. Yet, according to a joint statement from WHO and UNICEF, 56% of CCE in low- and middle-income countries (LMICs) is poorly functioning or non-functional. Nurses would manually check the temperature in vaccine refrigerators twice a day with a thermometer to detect temperature excursions, but they had no insight into what happened outside of those checks, and, worse, had no idea if the vaccines they administered were safe and if the vaccines would protect children against disease. We wanted to create a solution that would inform health personnel of the condition of the equipment before vaccines spoiled. 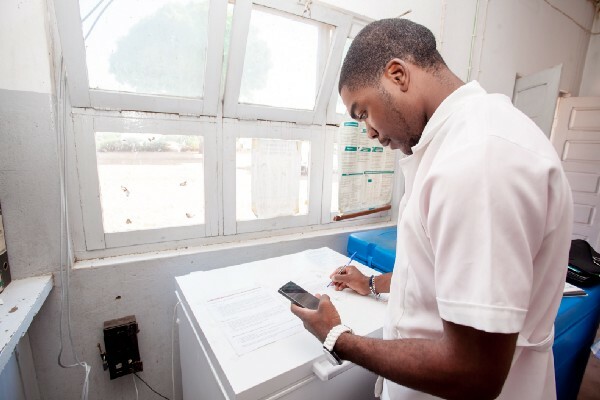 Our solution, ColdTrace, monitors temperature in cold chain equipment in real-time, and sends SMS alerts to health workers when the refrigerator goes beyond the safe temperature range for vaccines. 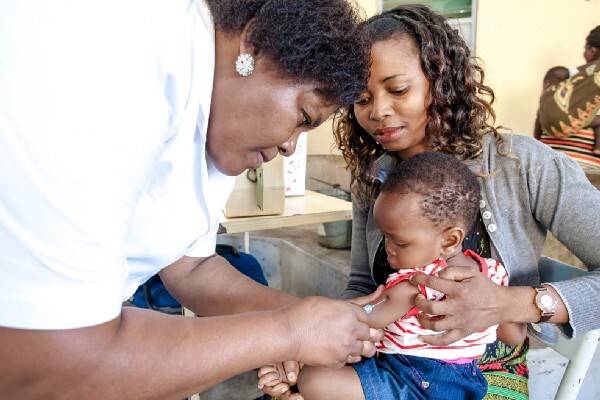 This helps health workers take preventative steps to ensure that vaccines stay potent while in storage so that children are receiving safe vaccines. The data is also uploaded onto a cloud-based dashboard, giving Ministries of Health the analytics they need to understand conditions in local health facilities across districts, and across the country, and to take corrective actions to improve the vaccine supply chain. Currently, ColdTrace can be found across 10 countries, and help governments protect the vaccine supply for 12.5 million babies born each year. In the context of ‘Leaving no one behind’ in the energy transition, can you give us a couple of concrete examples where data contribute to helping solving the challenges? For me, ‘leaving no one behind’, especially in the technology sector, means creating solutions and technological advances that amplify the voices of the people on the ground. The energy transition comes with new innovations and technologies and while many of these innovations are designed around social impact, they’re not always designed based on the needs of the users. We can examine the clean cooking sector. About three billion people around the world cook using traditional open fires or cookstoves, called Chulhas, which emit high levels of air pollutants. Household air pollution contributes significantly to climate change, and exposure to it has been linked to illnesses that cause 3.8 million premature deaths per year. Several organisations and stakeholders have distributed ‘improved cookstoves,’ which are cleaner, more efficient stoves. About 80 million improved stoves have been distributed worldwide, but we still haven’t seen widespread adoption of cleaner cooking. What we discovered from monitoring improved cookstove usage in India was that these stoves weren’t actually being used by people. We learned that while the improved cookstoves were cleaner than the traditional Chulhas, many weren’t durable or user-friendly, so women just stopped using them. Our program StoveTrace monitors cookstove usage to understand user preference and to tackle the barriers to adoption. We also developed Sensor-enabled Climate Financing (SCF), our innovative financing model that rewards women for their transition to clean cooking. By approaching clean cooking with the user in mind, we have witnessed sustained clean cookstove usage at an average of 90% — a rate previously unseen in the cookstove sector. What are the main challenges that governments and organisations face when bringing clean cooking solutions or clean cooling solutions to low-income countries and how are you contributing to solving these challenges? A pressing challenge we see is equipment being manufactured without the individual in mind. The solutions that people receive, be they clean cookstoves or cooling equipment like refrigerators, too often aren’t designed for the local context. As implementers, we need to start seeing low-income communities as consumers and not beneficiaries, and we need to start designing equipment and technology robust enough for rural and resource-limited environments with proper after-sales service. By creating intelligent insights with data from the local context, we’re able to identify these gaps in the sector and align manufacturers, governments, NGOs, and other stakeholders around a solution. Why it is so important to bring better data on the ground, and what are the main impacts it has on the government, the private sector and the people? We see data as the foundation for creating responsive and adaptive interventions to get to long term impact. By responsive intervention, I mean that instead of collecting data only at the beginning and the end of a project, we collect and respond to data throughout, so that implementers can use the information to adapt and learn while the project is still going on. Even in well-meaning interventions, people, whether from the government or the private sector need transparency into their actions to self-evaluate, and to ensure that the actions they take and the solutions they provide actually create beneficial impact. Objective sensor data can create this kind of transparency, and stimulates course-correction. With a steady stream of data and analytics, stakeholders can continuously monitor and evaluate their programs to understand the barriers to technology uptake, identify incorrect assumptions, and iterate on their design before it’s too late. Do you work with people on the ground? And how do you include the population in your work in general? Are you providing training for maintenance of the technology? Engaging people on the ground is a fundamental aspect of our work. Only through collaboration and careful listening are we able to get to exponential impacts. 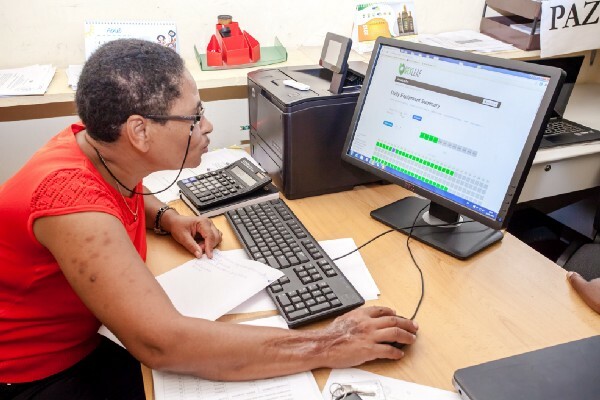 During the installation phase of our work, we work closely with governments and local NGOs to devise trainings that not only teach people to handle and maintain the technology, but also teach them to read and act on data. We understand that to get the voices of low-income communities heard, they need to be armed with the right tools and data to advocate for better resources and service, and they need to understand that data. Part of our process is to show communities how data can be integrated into their daily lives so that analysing data becomes rote and that the data becomes a vehicle for their needs. We already see this happening in a number of the countries where ColdTrace is found. 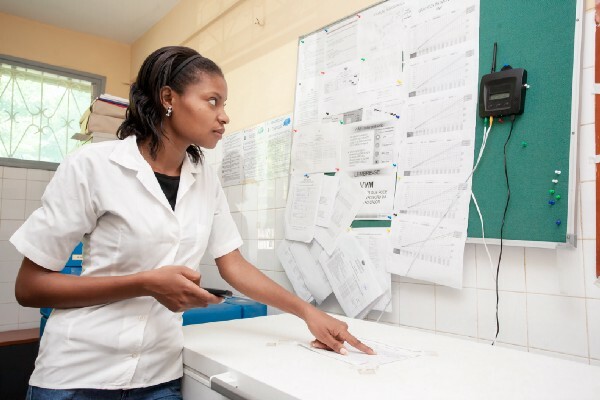 In Tanzania, health workers and managers at local health facilities push data up the health system to request for better maintenance of CCE. I could see how your work would come with a lot of challenges. How do you overcome them and what keeps you going? You have to be willing to grow from failures and work with ideas that don’t necessarily fit with your initial plan. Sometimes we’ll look at a problem and plan extensively, but after a while, realise that we need to take a different path. These moments of what seem to be failure are really just opportunities to reevaluate our work and opportunities to grow and discover new ideas. For StoveTrace, when we initially discovered the impediments to clean cooking, we saw an opportunity to work with the clean cookstove sector to reshape the market around the user. On this path we’ve had to return to square one several times, but each time it’s with a new perspective. Being transparent when we fail and sharing those failures with the sector has been useful in pushing the conversations forward. There’s this high expectation to succeed, but the path to changing the world isn’t easy and we should embrace that. It’s humbling, but it’s a worthwhile endeavor. Thanks a lot for this interesting conversation Nithya, and good luck in all your projects!